I try to give my grills as much love through the week, as they get on the weekends. With a busy life, this is sometimes easier said than done. When I’m pressed for time, but still want...scratch that, need, to see light smoke wafting from the vents on my kettle, I grill short rib tacos. 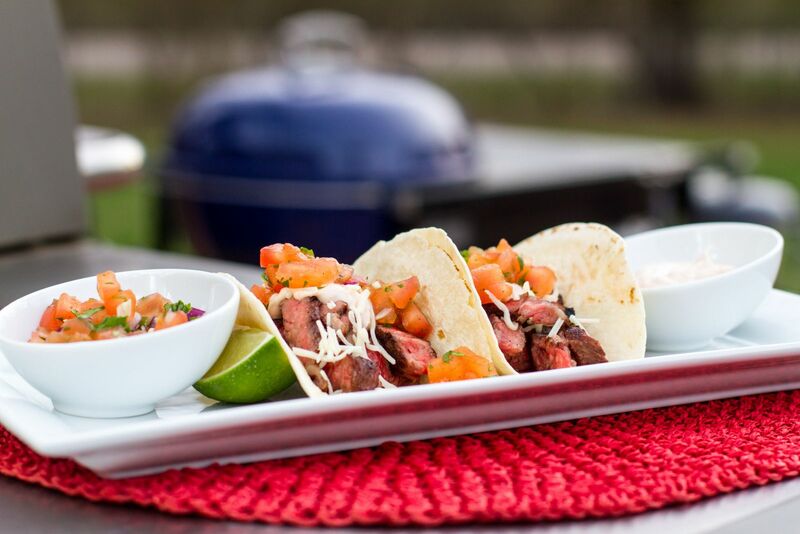 These tacos involve simple ingredients, a fast cook and ensure my grills get just the attention they need during a busy work week. I always use flanken cut short ribs for my tacos. Unlike traditional long bone short ribs, flanken cuts are thin slices across three pieces of bones. They are rich, meaty and packed full of flavor. Thanks to their thin size, they take only a few minutes to grill and if time is on your side, they are perfect for taking on a marinade. 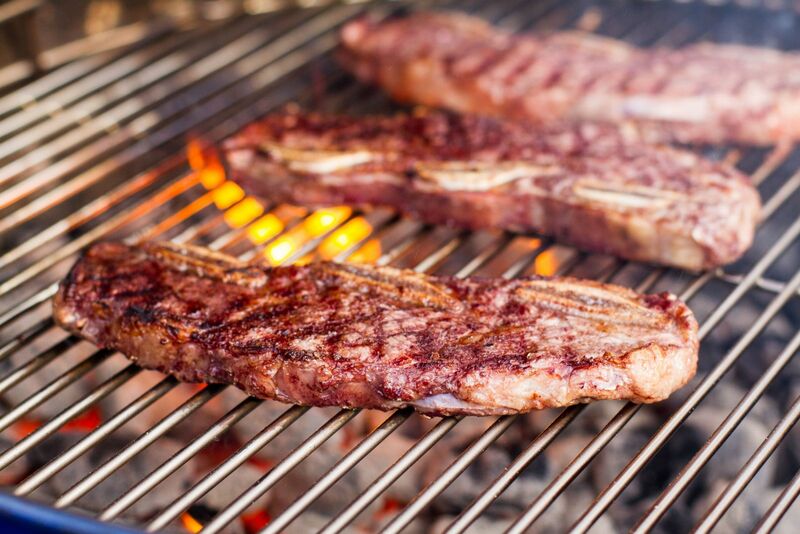 To grill, figure about 2 minutes a side over direct-medium high heat (450 F). Grill until the internal temperature reads 135 F with an instant-read thermometer. Remove from the grill and allow to rest. Slice the meat from the bones, being sure to also get the meat between the bones. Those small pieces are usually my personal rewards while carving. 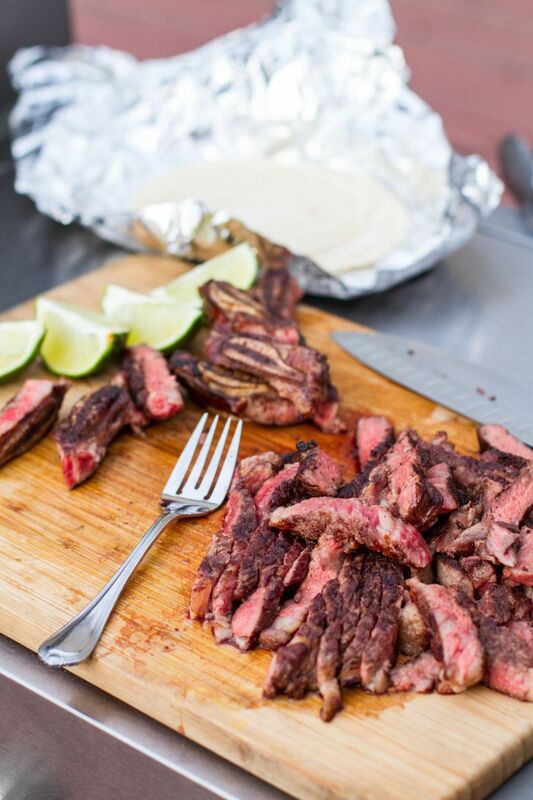 It’s a given that the meat hits the grill, but I also like to include the tortillas and limes. I go back and forth between corn and flour tortillas. Regardless of which I decide, I either wrap several in an aluminum foil pack and keep warm over indirect heat or drop a bare tortilla directly on the grate for just a few seconds. For the limes, I slice in either halves or quarters and grill over direct heat for about a minute, or until the flesh has nice grill marks. There is no finer way to finish off a taco then with a squeeze of grilled lime. Additional fillings can go with whatever you have on hand. This is a weeknight meal, so it needs to be easy: fresh guacamole, Pico de Gallo, Queso cheese, or Mexican creama with pureed chipotles peppers. Easy to grill and even easier to eat. It’s a weeknight, after all.